Be aware that on Android, high quality version is not in order (maybe other versions are too) part 3 is after part 1. Then part 2. This was my fifth very lengthy title by Peter Hamilton, all of which in the same universe, and I have to say, this is the best one so far! And the rest got 4 stars from me as well, mind you. This second novel in the Void trilogy really deepens both stories of this novel-within-a-novel, in an exciting way. There's the scifi story with several well-loved characters, and then of course there's the fantasy novel about Edeard, living his life on a planet in the Void. The climax near the end of the novel is awesome, I have to say I thought "OMG Hamilton pulled a Game of Thrones!" And as if that weren't enough, he also manages to add a third (sub)genre to this one novel, namely the superhero archetypal story. And there was even a hint of Western this time. I loved it, it was so well done! This story has everything I want from my novels: a thrilling plot, my three favorite genres, well fleshed-out characters, romance, adventure, high tech, magic, and some very, very skilled writing. Narration, as always with John Lee, was absolutely superb. Can't praise this novel enough - a credit well, well spent! This series has been great! The commonwealth is an awesome look at the potential of Mankind! A truly great writer and a gray story! has opened my mind to news ideas, I will recommend this to all my friends with similar interests. 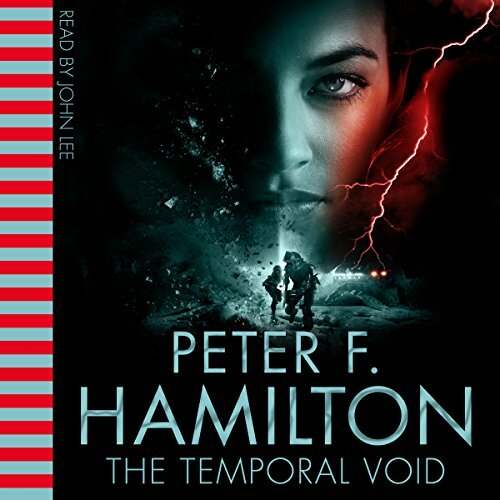 If you like Peter F. Hamilton this is as good as it gets, and the narrator is quite okay too, but the production stinks and I gave up completely after 40 minutes. The volume is extremely uneven. If you adjust it for one recording section then all of a sudden you can't hear what's being said in the next section, raise the volume and then you'll go deaf 30 seconds later. Audible should really screen the books better to avoid selling crap like this. This second part of the series is a great thrilling and enjoyful read that is at least as good if not better than the first part. Voller Spannung entwickelt sich die Traumwelt weiter. Die andere Seite der Galaxie leidet etwas unter der Komplexität ihres Erbes. Die Tonqualität ist nicht so doll. Hat mir der Support bestätigt.